Hear ye, hear ye. This weekend we have something for everyone, from the annual Age of Chivalry Renaissance Fair and Wine Amplified to festive Halloween and Oktoberfest events. Plus, you really can’t beat the weather: Summer in Vegas definitely wants to linger around for a while, so expect warm days and comfortably cool nights. Don’t pack your scarves or beanies just yet. Live concerts and wine tasting — doesn’t get any better than that. Hit up this year’s Wine Amplified. Photo courtesy of MGM Resorts. Wine and live music? Hey, wine not? 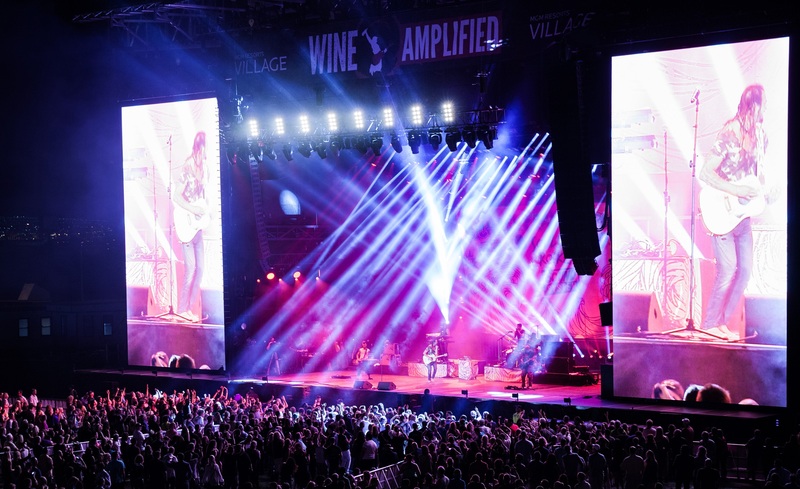 Hosted by Rock ‘n Roll Wine and MGM Resorts, the 10th annual Wine Amplified Festival will leave you buzzing. Sample more than 150 wines or sip by the glass from more than 60 different wineries at this popular outdoor festival. Even if you’re more of a beer drinker, there will be a craft beer garden offering more than 20 selections, cocktails and so much more. We haven’t even gotten to the music yet. Panic! at the Disco headlines Friday night, followed by Sublime with Rome headlining Saturday. Other musical acts for Friday include The Sheepdogs; Andrew McMahon in The Wilderness; Cold War Kids; and Passion Pit. Concerts start at 6 p.m. and go until 12:30 a.m. Don’t worry — you’ll have plenty of breaks in between to drink! Saturday’s lineup features The Noms, Manika, Robert Delong, Fitz & The Tantrums and 50 Cent. Concerts are 5:20 p.m. – 12:30 a.m., with your much-needed beer and wine breaks in between. Tickets for a single-day pass are $59, ($109 for both days). VIP tickets are $139 for one day, $249 for two. The VIP tickets have access to the premium viewing deck, as well as VIP wine tastings and a premium selection of wine, beer and spirits for purchase. This is a 21-and-older event. 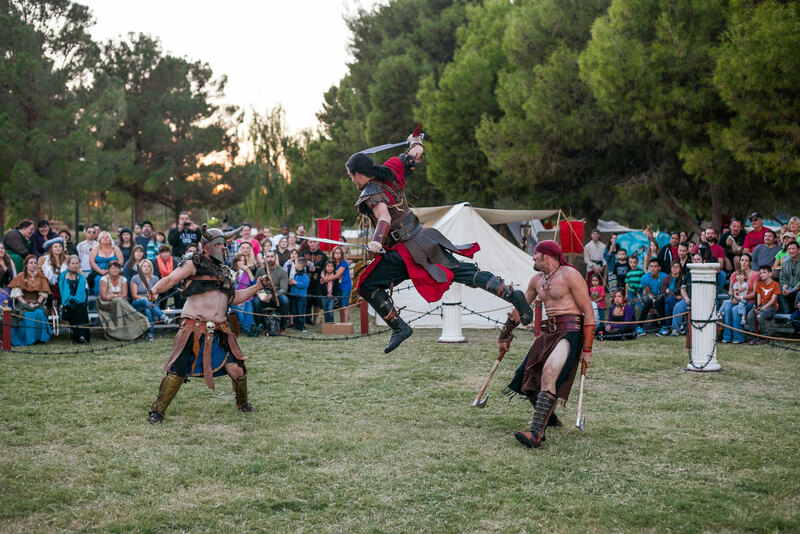 Go back in time with the annual Age of Chivalry Renaissance Festival. Photo courtesy of Fred Morledge. Calling all knights, kings, maidens and minstrels: Starting this Friday, take it back — way back — to medieval times with the city’s 22nd annual Age of Chivalry Renaissance Festival. See plenty of shows including historical reenactments. See musical performances by artists with fun names like the Wicked Tinkers, Dread Crew of Oddwood, Bogtrott’s Union and Killian’s Angels. And what’s a festival without the fun historical reenactments and jousting tournaments? Plus, the strolling minstrels, flame eaters, belly dancers, contortionists and trained parrots and pirates add to the lively atmosphere. You’ll also enjoy meat pies, bangers & mash and plenty of ales. Expect to see folks walking around munching on a big ol’ fried turkey leg. Go on an adventure on the Chiver Me Timbers pirate raft ride on the lake. There will also be live camel and horse rides. Test your bow and arrow skills, or show off your strength at the axe target game. Make sure to stick around for the royal parade. Take home a piece of the festival with you: The festival will have more than 200 artisans, including blacksmiths, stained glass designers, wood workers, jewelers, toy makers, perfume blenders, stone carvers and sword, dagger and armor craftsman. Watch them at work and take back the best gifts to your friends. It sure beats a postcard and a shot glass. The event begins 5 p.m. Friday, Oct. 9. On Saturday, the festival is open 11 a.m. – 11 p.m. and Sunday, Oct. 10 – 11 a.m. Buy your Age of Chivalry tickets and read more about this popular Las Vegas event. Jam with Frank & The Steins this Halloween. Photo courtesy of Fremont Street Experience. We’re so ready for Halloween. We’ve already got “Thriller” and “Monster Mash” on repeat. If you’re a fan of 1) Halloween and 2) beer, then you may as well camp out downtown. Fremont Street Experience combines the two with OktoberFrightFest, so you can get your drink on and your scare on at the same time. Chill out beneath Fremont Street Experience’s Viva Vision canopy and see live performances by Frank & The Steins. 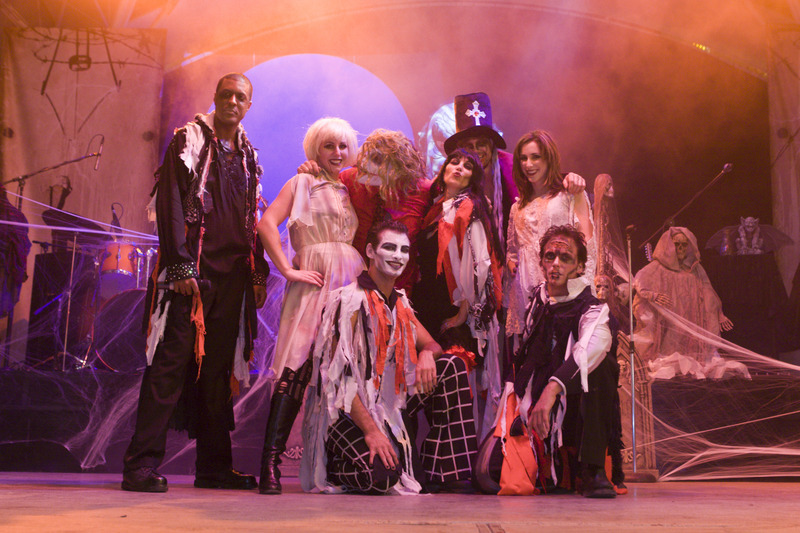 Also, the Viva Vision show includes its festive music set list with your favorites like “Thriller,” “Ghostbusters,” “Addams Family” and much more. These shows are a few minutes long and play at 7 p.m., 8 p.m. and 10 p.m., daily. And if you’ve ever checked out downtown, folks dress up when it’s not even Halloween. You can only imagine the craziness when it’s actually the season for it. For two days only, Golden Nugget hosts its sixth annual Fall Beer Festival on Friday, Oct. 9 and Saturday, Oct. 10. Sip on brewskis from more than 30 different breweries and enjoy food and live entertainment. The festivities kick off on Friday at The Tank, the hotel’s swanky pool with a shark aquarium. Saturday’s Grand Tasting will have more than 125 craft beer samples. Tickets to the Grand Tasting are $45 plus tax. For an extra $10, you’ll get a $20 food and beverage credit along with your Grand Tasting pass. Call (866) 946-5336 for more details. Hello Kitty is coming to town again – – this time she’s bringing new goodies. Photo courtesy of Sanrio. Listen up, Hello Kitty fans: The Hello Kitty Cafe Truck returns to Vegas. Yay! If you missed out on the Hello Kitty Supercute Friendship Festival last August (or you did go, but just can’t get enough HK), then you’re in for a real treat. Even if you visited the Hello Kitty truck when it was here last spring, there are new goodies in store. This time, you can buy a macaron box set that comes with one surprise Sanrio character. While you’re here, you can also get a Hello Kitty mug, a pink Hello Kitty Café T-shirt, doughnuts, mini-cakes and other tasty too-cute-to-eat treats. 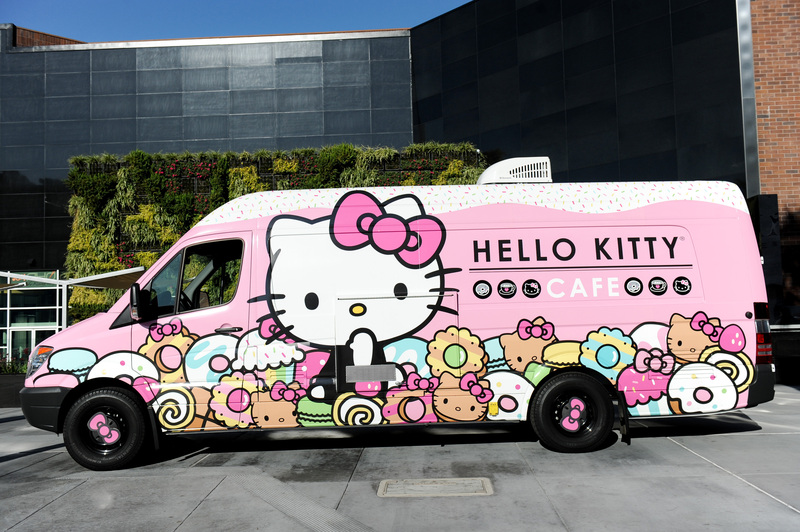 The Hello Kitty Cafe Truck launched on the iconic figure’s 40th anniversary last year at Hello Kitty Con. Since its debut, the truck’s visited several cities throughout the West Coast. Up next: a standalone casual cafe with a fun Sanrio atmosphere. This will be in LA, so we’re crossing our fingers for a Vegas location soon. That’ll give us (and visitors) something to purr about. 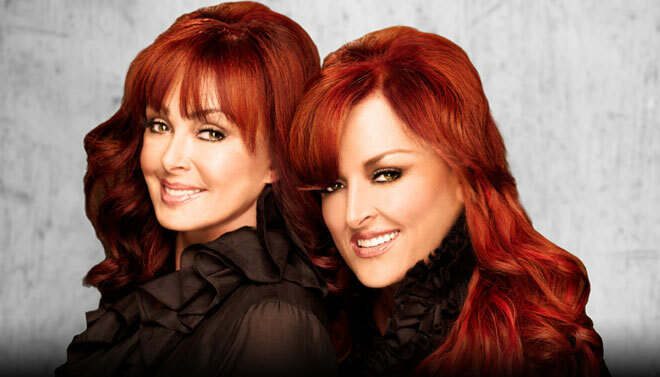 The Judds, photo courtesy of Vegas.com. If rock is more up your alley, see Garbage at The Cosmopolitan of Las Vegas on Saturday, Oct. 10. Garbage is best known for the smash singles, “Stupid Girl” and “Only Happy When It Rains.” After a hiatus, the band regrouped and released the hit song, “Blood for Poppies.” Doors open at 8 p.m. Show starts at 9 p.m. and features special guest Torres. If you’re in the mood to laugh along versus sing along, The Mirage’s “Ace of Comedy” series continues the fun this weekend. See funny man Nick Swardson Friday, Oct. 9 and “Home Improvement” star Tim Allen Saturday, Oct. 10. Both shows are at 10 p.m.
Find out about more Las Vegas shows and happenings to add to your action-packed weekend.